LIMITED TIME OFFER $39 TO $29. 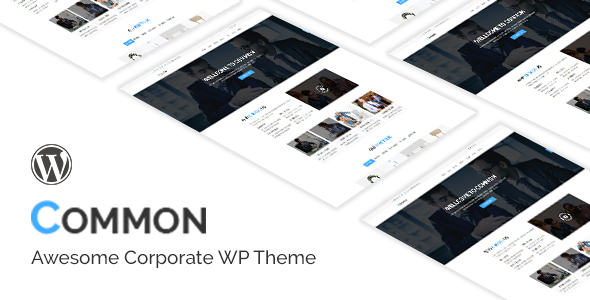 Common Is one page and multi-page premium WordPress theme.You can make easily your website use this theme.You no need any coding require knowledge.We provide all feature in our theme, for making a website. We are different from others, We alway try to happiness for our client.Sometimes we customise our theme for our client.If it’s not required ThemeForest rule. This theme best choice for business, agency, marketing, company, portfolio, personal, trading, team and much more.